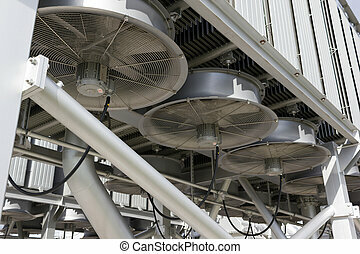 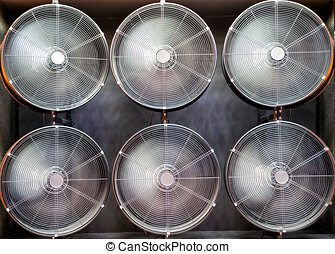 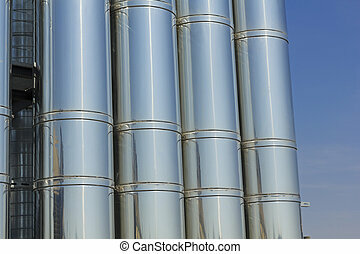 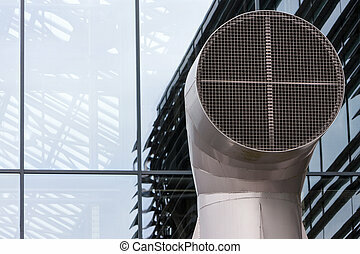 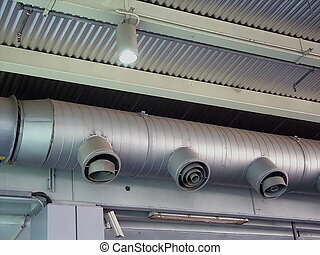 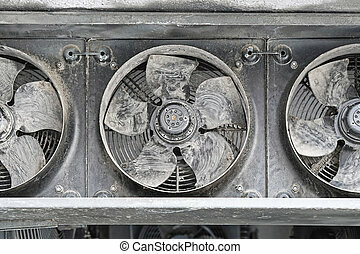 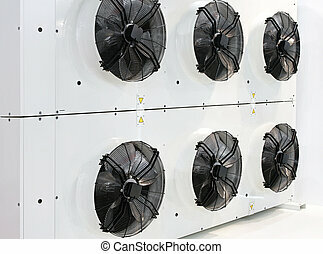 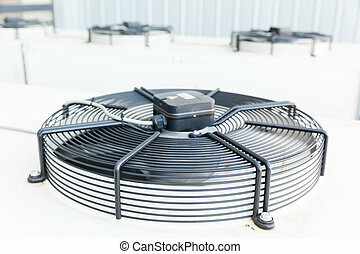 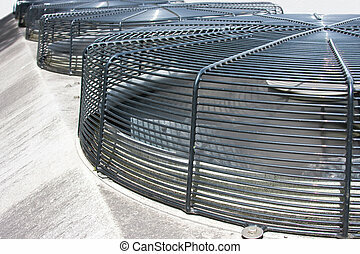 Air cooling industrial system with fans. 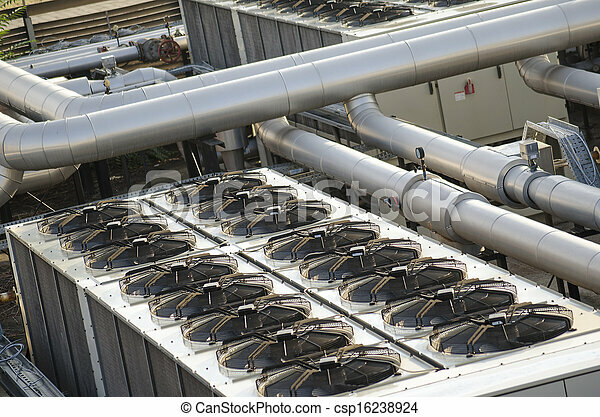 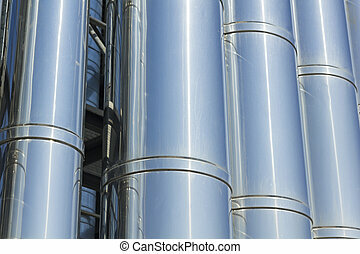 Industrial Cooling System. 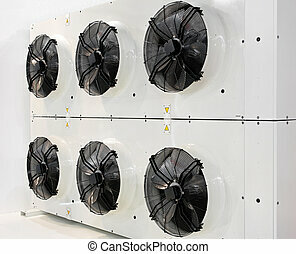 Air conditioner for large areas. 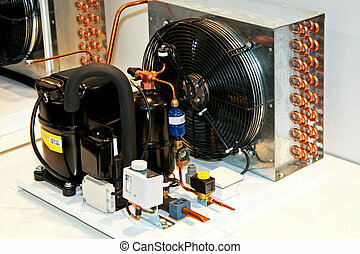 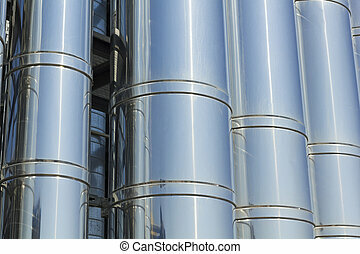 Evacuation system combustion gases, ventilation and air conditioning. 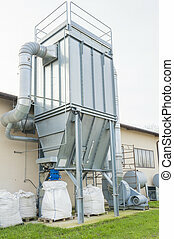 Industrial air filtration system with paint color waste recovery. 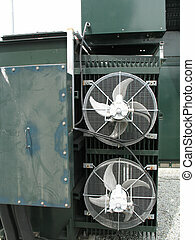 Industrial fans cooling an electrical power transformer.